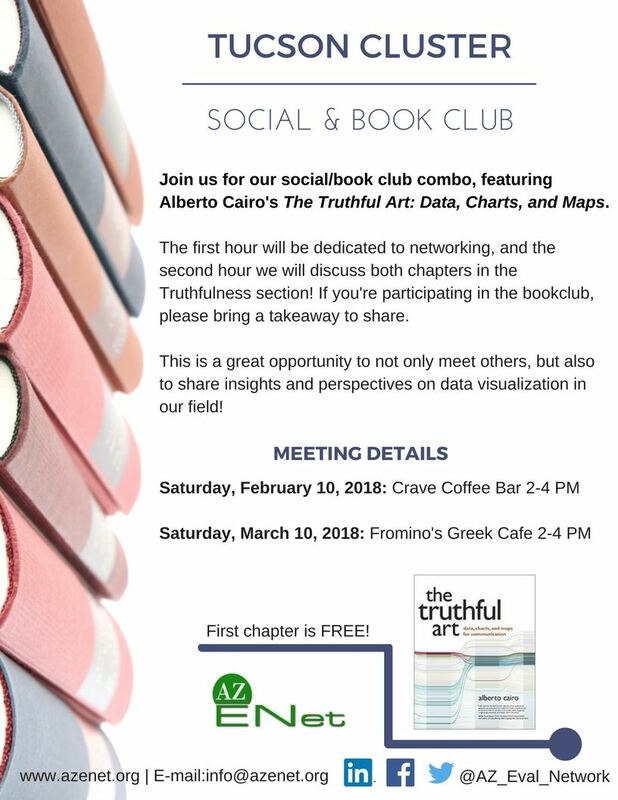 Join us for our social/book club combo, featuring Alberto Cairo's The Truthful Art: Data, Charts, and Maps. The first hour will be dedicated to networking, and the second hour we will discuss both chapters in the Truthfulness section! If you're participating in the bookclub, please bring a takeaway to share. This is a great opportunity to not only meet others, but also to share insights and perspectives on data visualization in our field!